828 at the Yard. The Hutchins is a 2 BR 2 BA flat featuring 1,400 sq. ft. + 88 sq. ft. private balcony. Standard finish options include hardwood flooring, Bosch SS appliances, granite countertops, Kohler plumbing fixtures + many upgrade opportunities. Project amenities include membership to The Yard Club - a private clubhouse for Grandview Yard residents featuring a resort style pool, spa and fitness center as well as a 15 year 50% tax abatement! Available units start at $425,000. 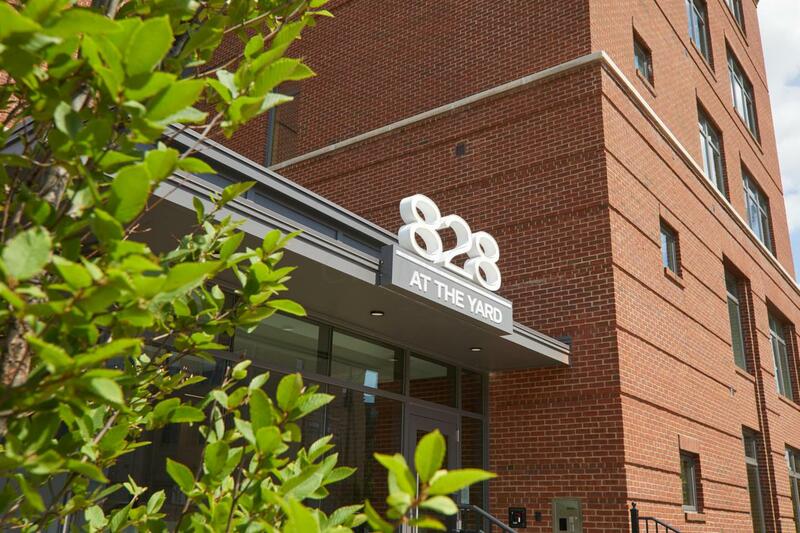 828 at the Yard has both finished and unfinished units that you could customize by selecting interior finishes with our design team. Located in the heart of Grandview Yard, close to restaurants and entertainment and minutes from OSU and the Arena District. Grandview Heights Csd 2504 Fra Co.